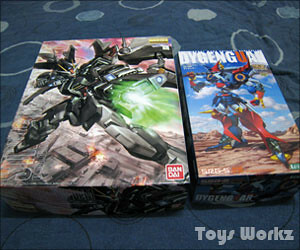 My latest model kit haul, MG Strike Noir and SRW Dygenguar kit. Been waiting for it for weeks, finally I can get my hands on them. 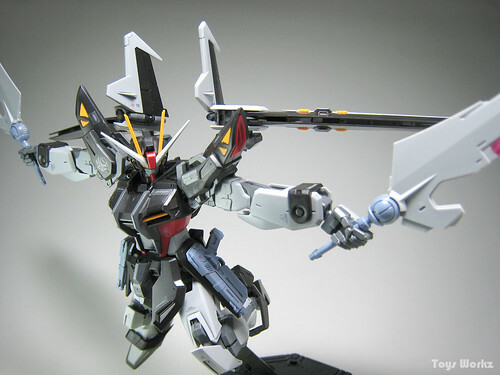 Now all that’s left is to get MG Strike I.W.S.P which should be arriving next week. Still deciding whether to get the new MG Zaku 2.0 or not, cause I already have a grunt type Zaku, maybe I’ll get the Char version instead. Oh well still weeks before it’s gonna release, I’ll have decided by then. This entry was posted in Model Kits on June 5, 2018 by Rosemary Curtis. Took this shot on the day i got my camera. I decided to put all my figures that are not in my display cabinet back into their box because they were collecting dusts. And since I was in the process of putting them back I thought I might take a picture of them in their respective packaging. In the front row from left to right you can see FSN School Uniform Sakura, Asaba Ureshiko, Alter Black Dress Saber and Kotobukiya Saber. 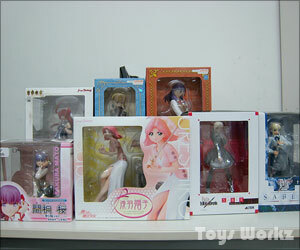 In the back row from left to right, MF Ignis, GSC Holiday Saber and GSC Evening Dinner Sakura. 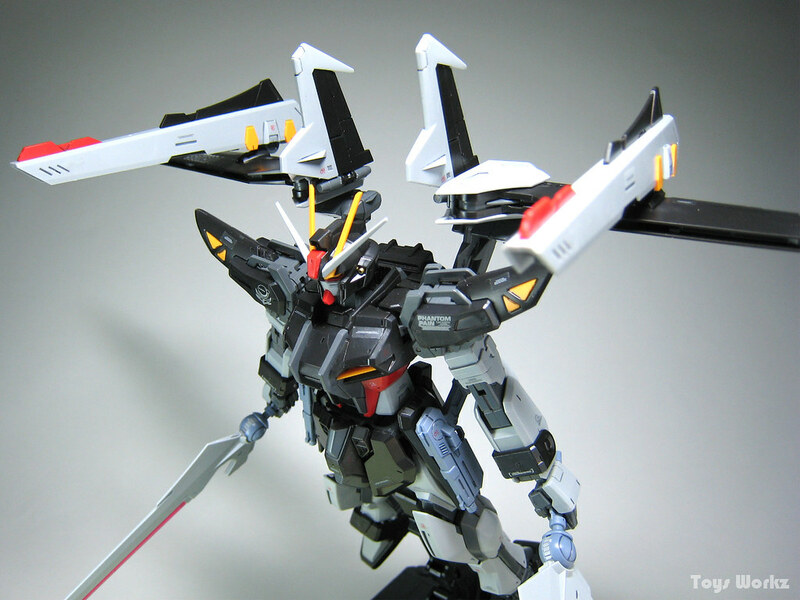 This entry was posted in Cosplay, Model Kits on June 5, 2018 by Rosemary Curtis. 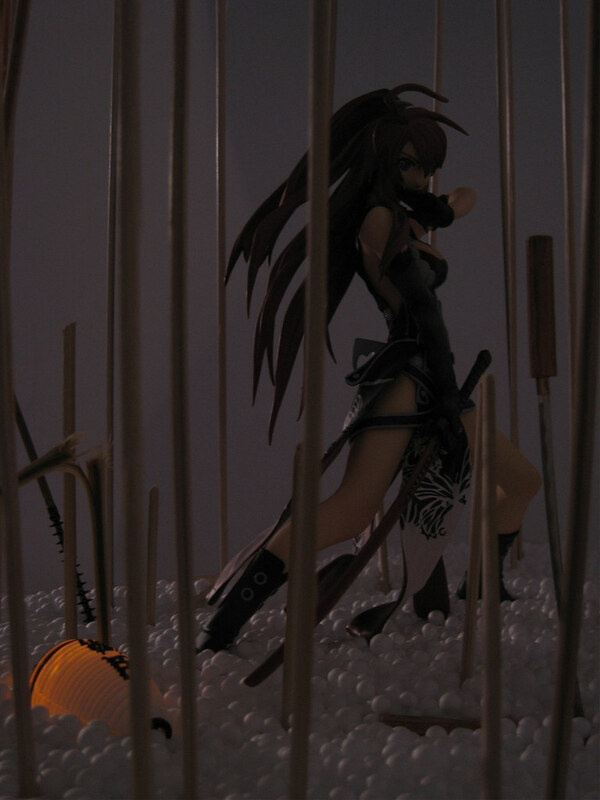 Fate-chan have finally arrive, early than expected actually, I was expecting her to reach either Friday or next week. As I carry the huge box she came in back to my cubicle, I can’t wait to open up the package and take her out. As I open the package, what I saw was disappointing, I guess what I heard was right, that Play-Asia doesn’t pack their figure shipment with enough protection. 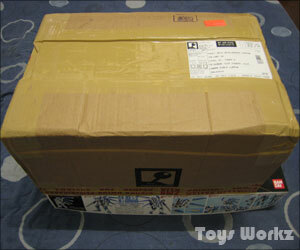 As a comparison I took a picture of the package with my MG Hi-nu box at the bottom, the shipping box is huge. Opening it up reveal Fate-chan’s box with pieces of polystyrene all around it to protect the box. But because Fate-chan box is already as big as the shipping box, some part of the box are damage as only two side of the box are protected. 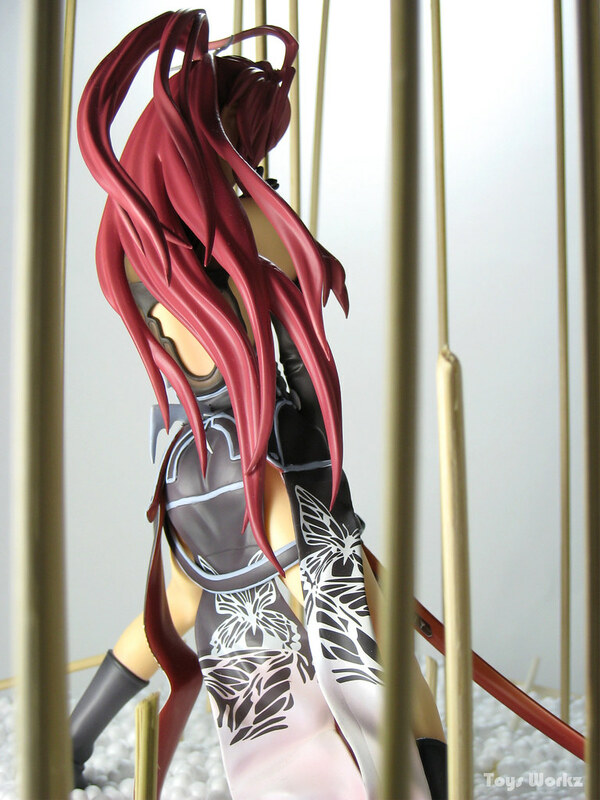 Further inspection of Fate-chan box reveal that the top and the back are slightly dented. Most probably due to lack of protection and also the custom officer that opened up the box to check didn’t put it back properly. She was held in custom for 2 days before she was release, luckily tax free . 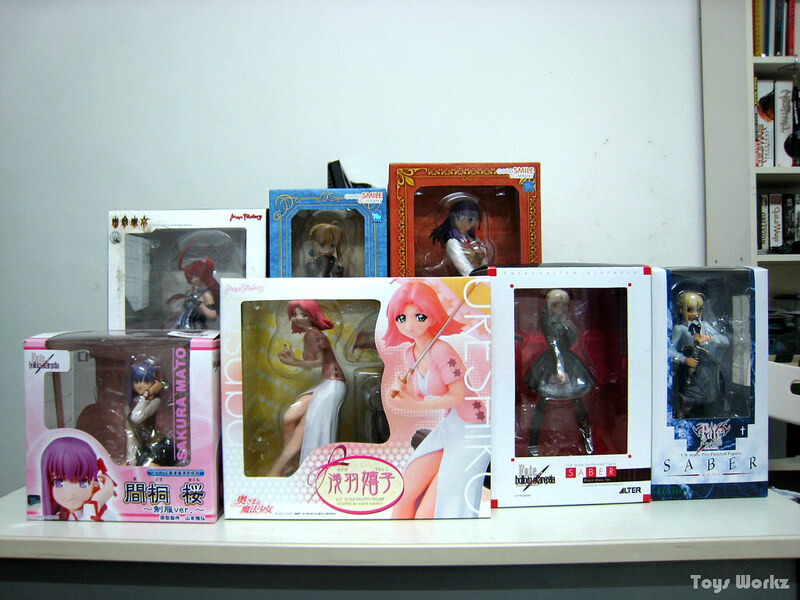 Biggest pvc figure box in my collection, I should take some photos of Fate-chan box with some other figures in my collection to compare their packaging size. 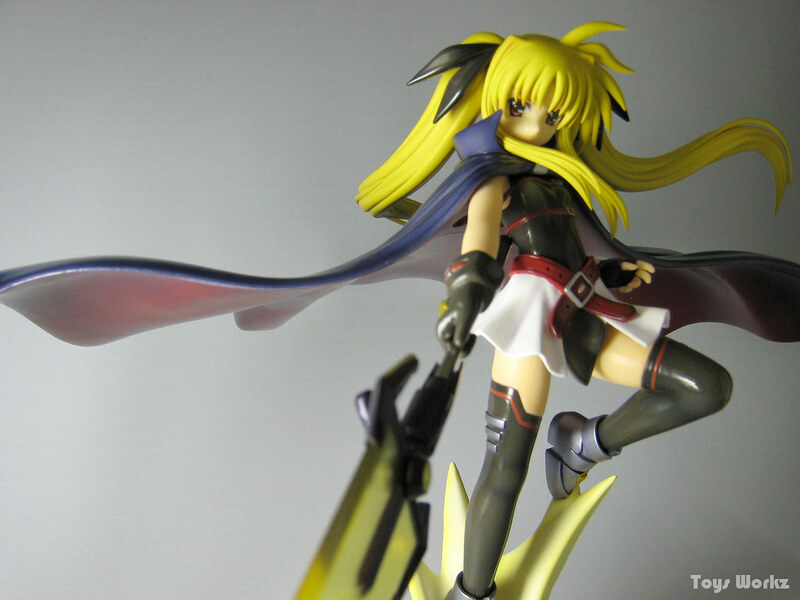 Took some photos of her out of the box using my temporary photo booth. She’s too big to fit using a single background, so I had to use two, a white as the back and blue for the bottom. I still lack proper lighting as I only have an emergency light that I use as front light and a reflector so the photos came out a bit dark. Due to the span of her cape, I couldn’t shoot a full view of her. 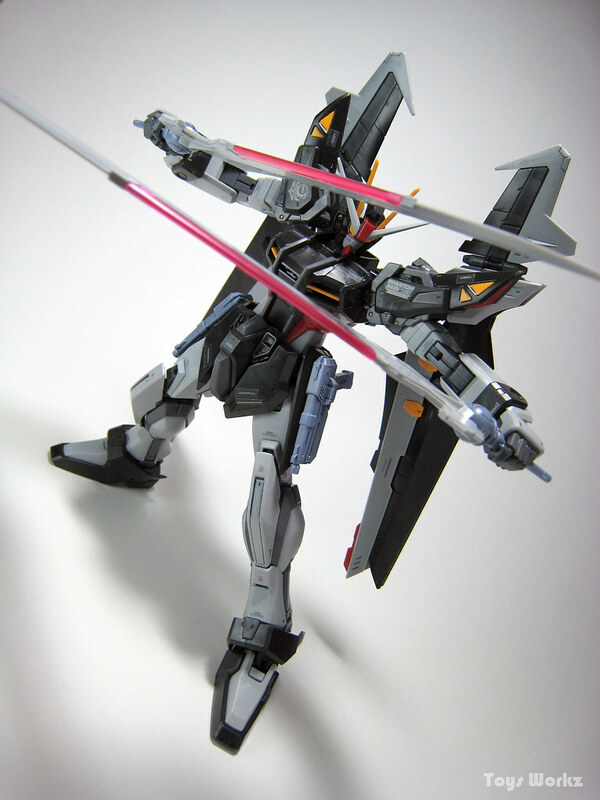 Actually wanted to shoot the length of Bardiche but due to lack of space only manage to take a portion of it. 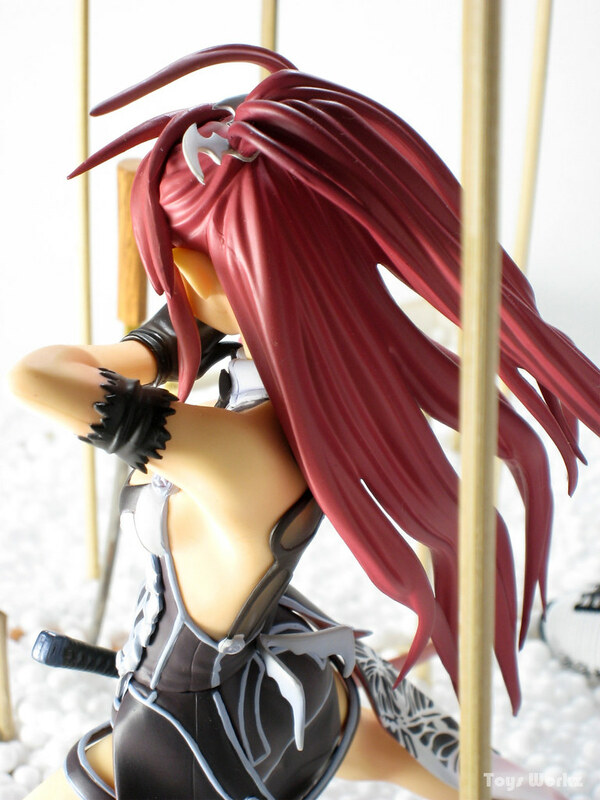 Try a top shot, you can see the detail of her hair, cape and ribbon. 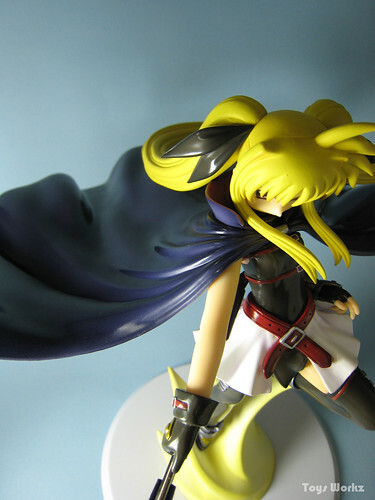 Of all the Fate figures that was release, the Alter version is the most impressive, mostly due to the cape and the pose that depict her rising into the air. 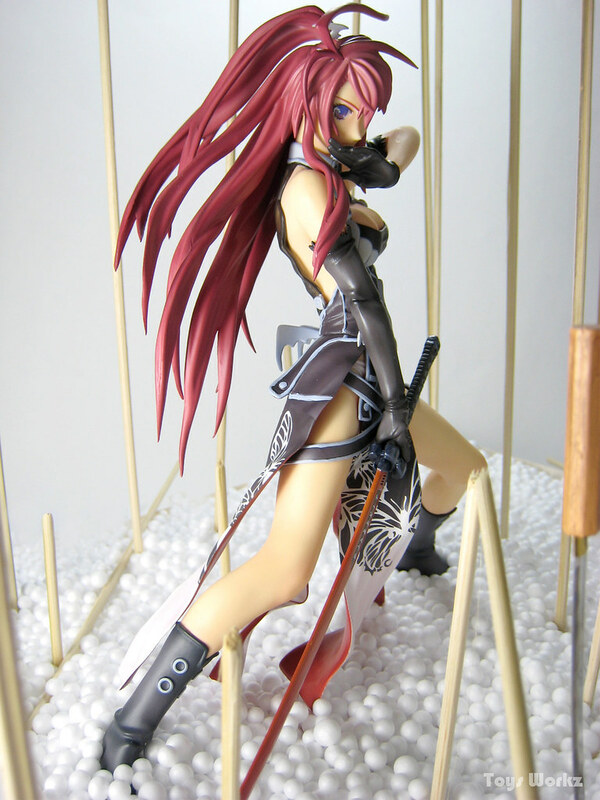 This is also my first and favourite Fate figure, the Movic version will come second but don’t think I can find that anymore. 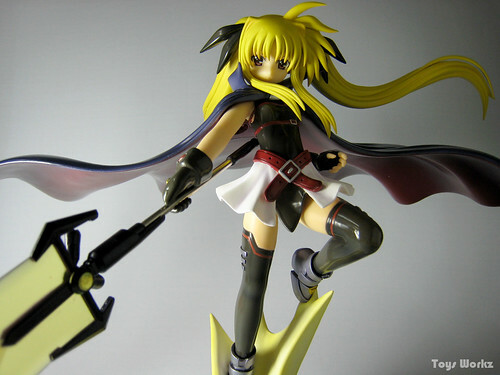 Another variation of Fate/Stay Night Saber to add to my collection of Saber figures, this time it’s Dark Saber by Griffon. She appear in Heaven’s Feel scenario of Fate/Stay Night, where she was consume by darkness by Angra Mainyu and turns into Sakura’s servant as Dark Saber. The armor is different than her normal armor and her hair and skin color are quite pale. 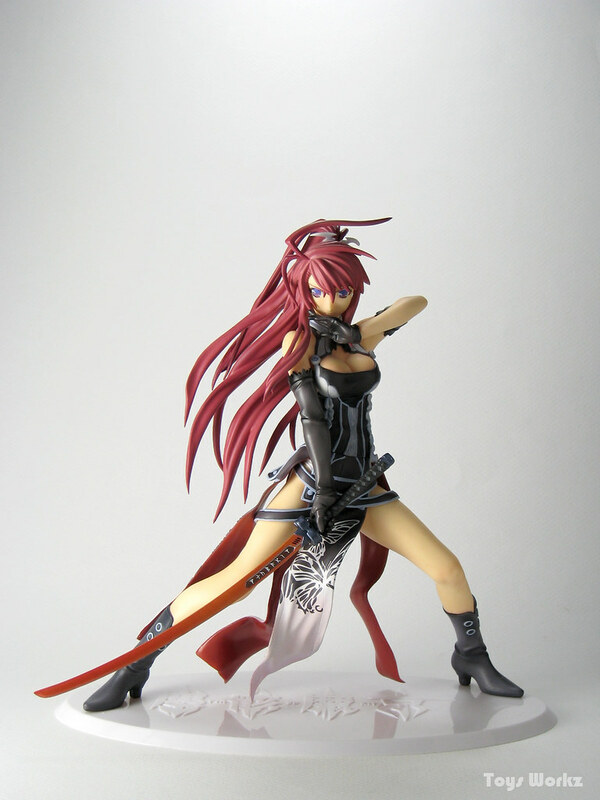 Her sword also change to black with red color symbol on the blade. My first impression of the figure is that it really capture the feel of Dark Saber from FSN game. The armor, face, hair and sword are exactly like what appears in the game. This is my second figure by Griffon, and I must say their quality is pretty good. I like the way they put the character’s name on the base and in Dark Saber case it’s plated name plate. Very nice touch. 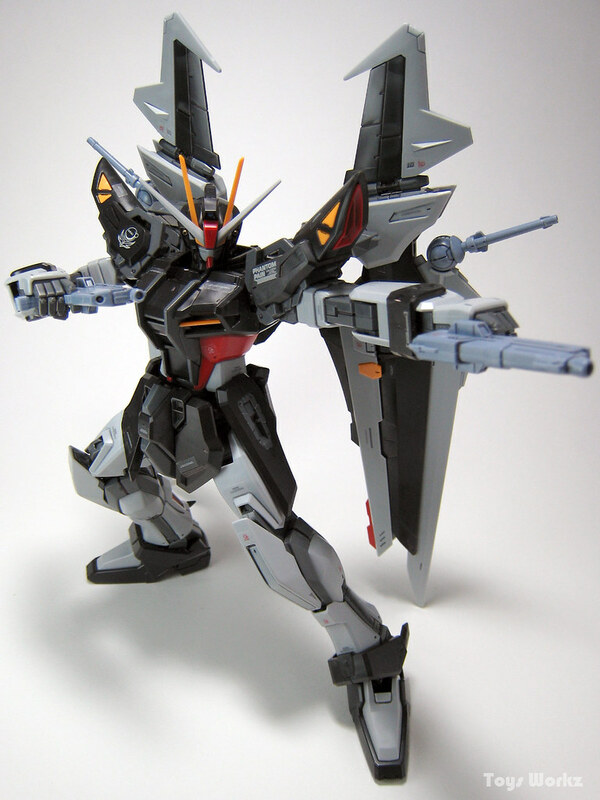 This entry was posted in Model Kits, Rant on June 5, 2018 by Rosemary Curtis. GAT-X105E+AQM/E-X09S Strike Noir is another variation of Strike Gundam that appears in the OVA Mobile Suit Gundam SEED C.E. 73 STARGAZER. 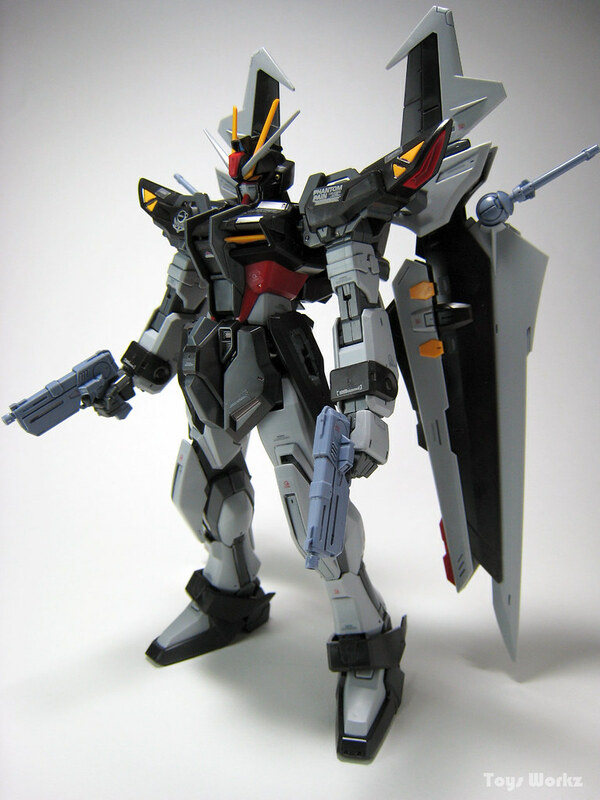 The MS belongs to Earth Alliance Phantom Pain and piloted by Sven Cal Bayang. The main difference from Strike Gundam is the lack of a beam saber it instead uses a pair of MR-Q10 “Fragarach” 3 beam blade which are hidden in the wings. The overall build of this kit is good, as usual Bandai quality is always improving. 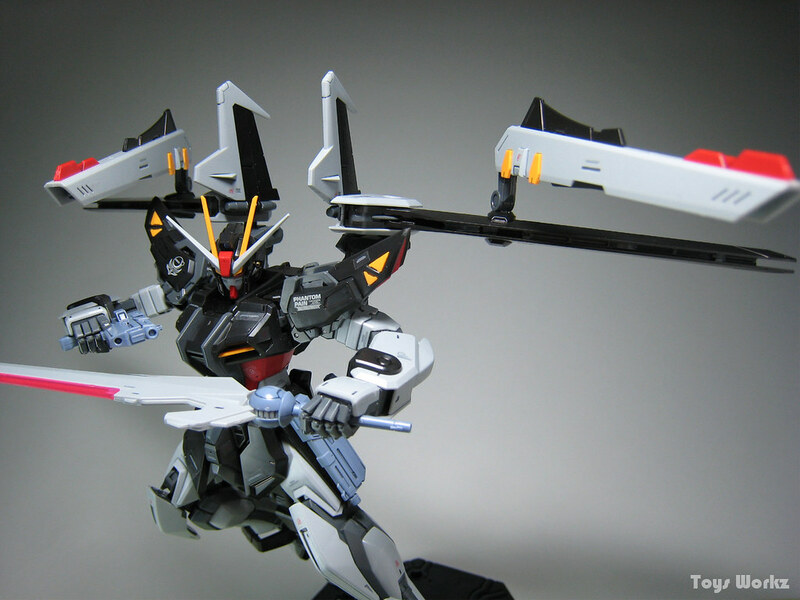 The inclusion of some fixed manipulator to hold the weapons is a nice touch. 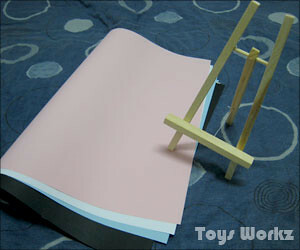 This is also one of the kit that comes with screws which I haven’t seen for quite sometime. One thing I don’t like is some of the dry transfer are so small that it’s very hard to put it on the MS, so i leave some of the decal out. 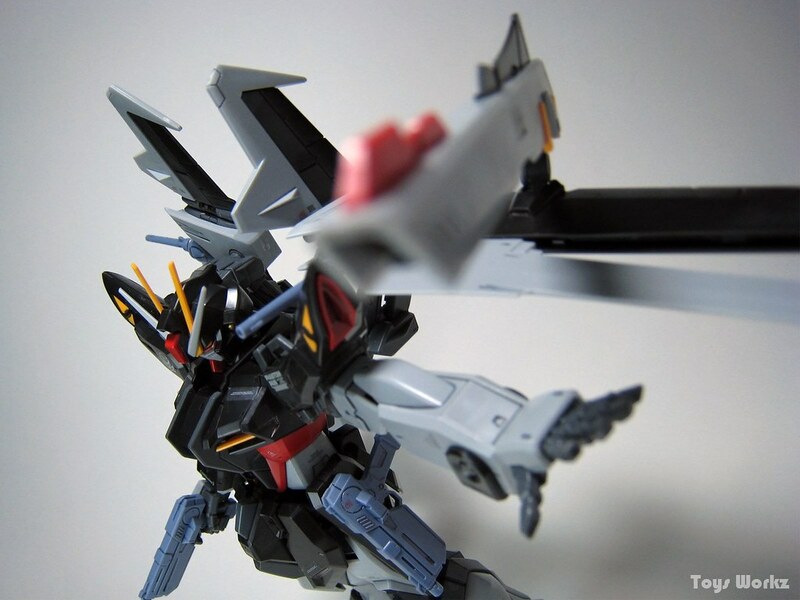 Left wing of the AQM/E-X09S Noir Striker with the MAU-M3E42 linked linear gun extended. 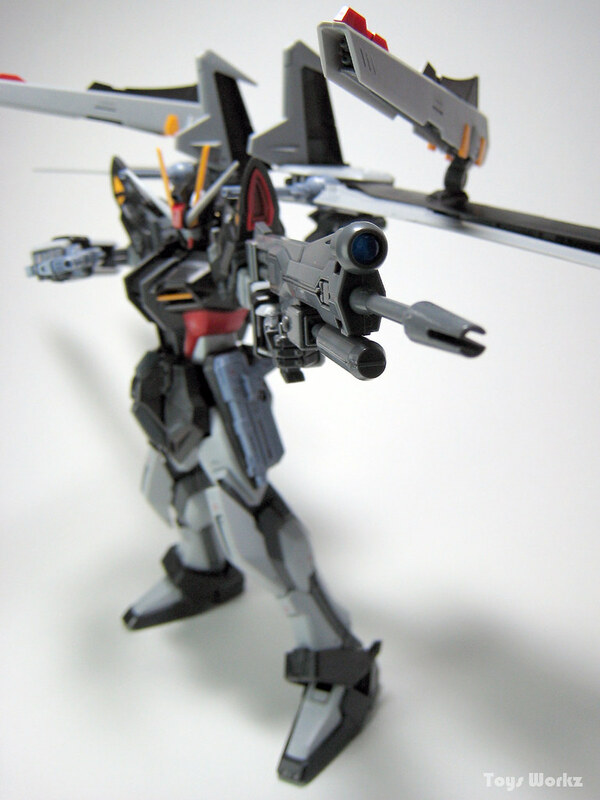 The 57mm high-energy beam rifle w/175mm grenade launcher. Dual guns, M8F-SB1 “Shorty” beam rifle. 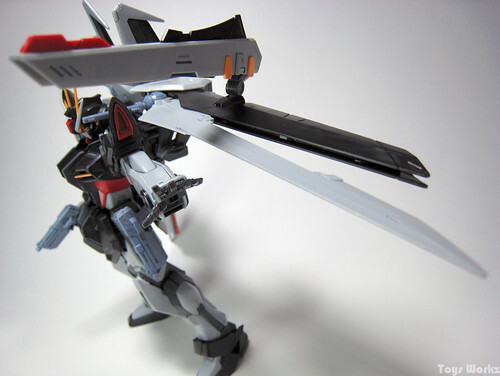 Dual swords, MR-Q10 “Fragarach” 3 beam blade. Finally my mini photo booth is almost complete. Got the final lamp today at Ikea, haven’t tested it out yet cause I haven’t got the bulb for it. Unfortunately Ikea only sell yellow light bulb. At the moment I still lack a diffuser and a bigger reflector, will get both done soon. This is how the booth looks like when it’s not in use. 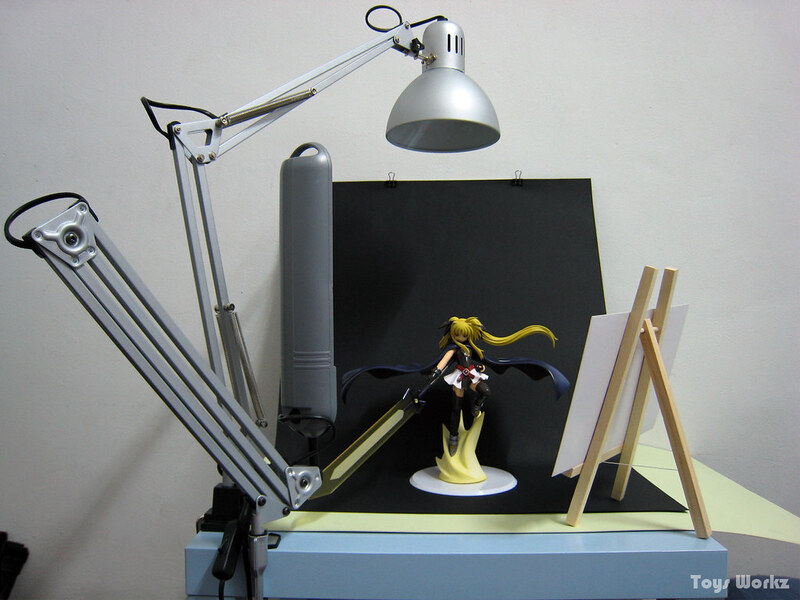 The two lamps uses extend-able arms so it’s easy to adjust it. 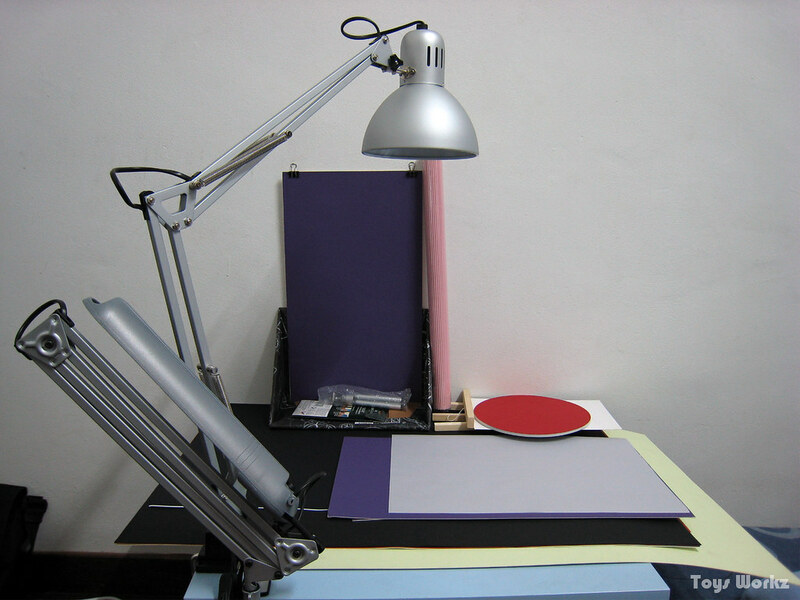 A few pieces of color papers that I uses as background and some other stuff like the photo-stand I use to hold the reflector, the reflector itself which is actually comic books backing board. Some tracing paper that will be use as a diffuser. At the back standing straight is the stand I made to hold the color paper, so that I can move the booth around and can use it even without being near a wall. This is what it looks like when in use. June purchase but where’s my Mirei-san!! 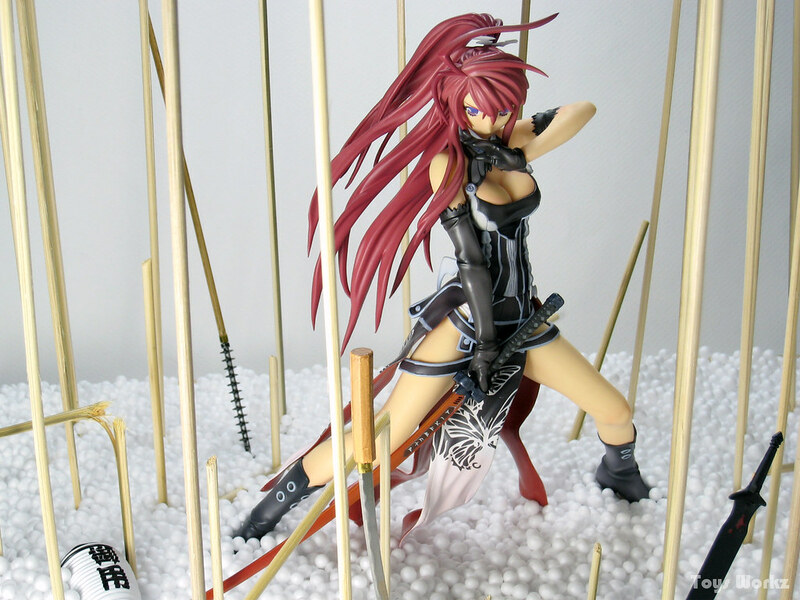 Bought 4 figures this month but only three have arrive Range Murata PSE #05 TT Butterfly, Kotobukiya 1/8 Sana Horiuchi and Kotobukiya 1/10 Lamento – Asato. 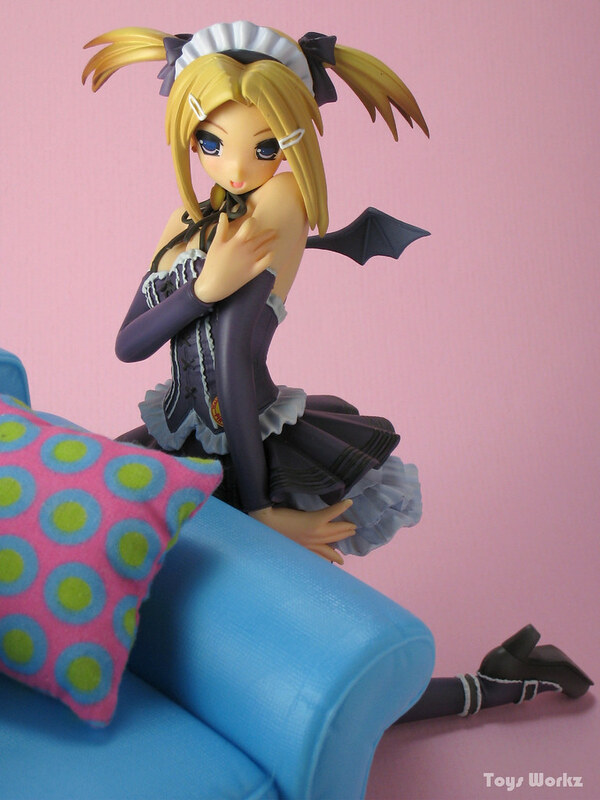 Suppose to have Mirei-san as well but she won’t be arriving until either end of the month or early next month. The PSE #05 is only 1/10 scale so she’s quite small, I am not sure how much she cost in yen but the price I bought it for is almost the same price as a 1/6 figure. The Lamento – Asato is also a 1/10 scale figure, but he about the size of a 1/8 though, comes with a grass like base, a sword and scabbard and also a drama CD. I like the transparent box he comes in, can display him without taking him out of the box. 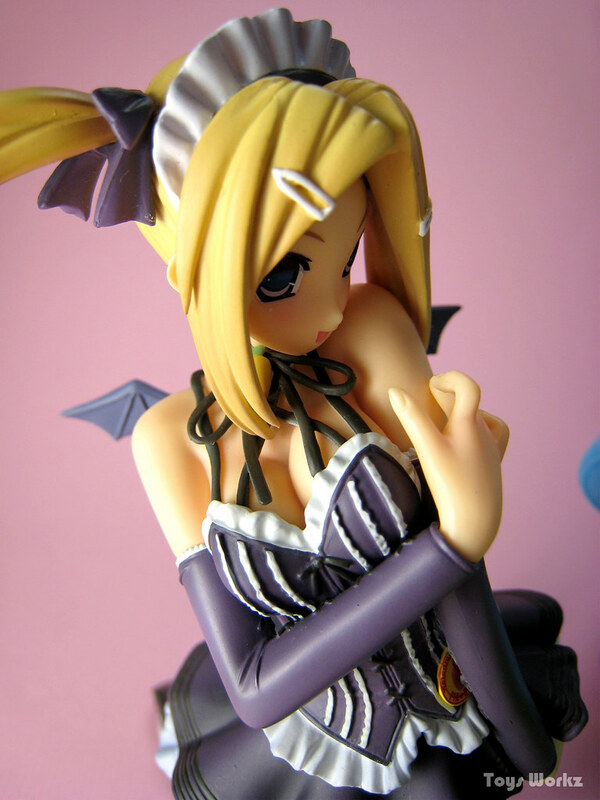 Sana is an older figure, she’s being re-release this month so I took the chance to add her to my collection. 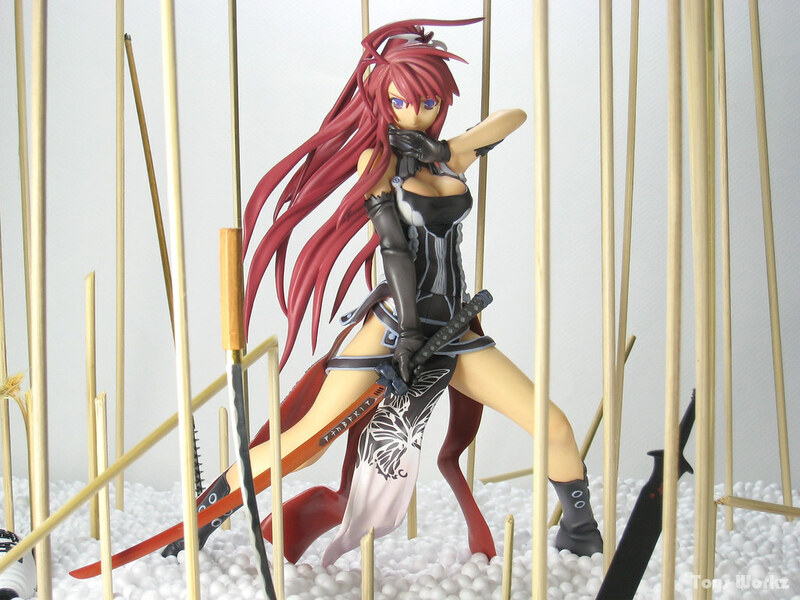 Besides figures I also manage to get two swords that I can use as props, they are quite cheap but the quality is quite good, made out of metal. This entry was posted in Cosplay, Model Kits, Rant on June 5, 2018 by Rosemary Curtis. Welcome to Pia Carrot…I guess that’s what Sana would say. She’s a character from the game Pia Carrot G.O., one of the many game from the Pia Carrot franchise of dating sim. 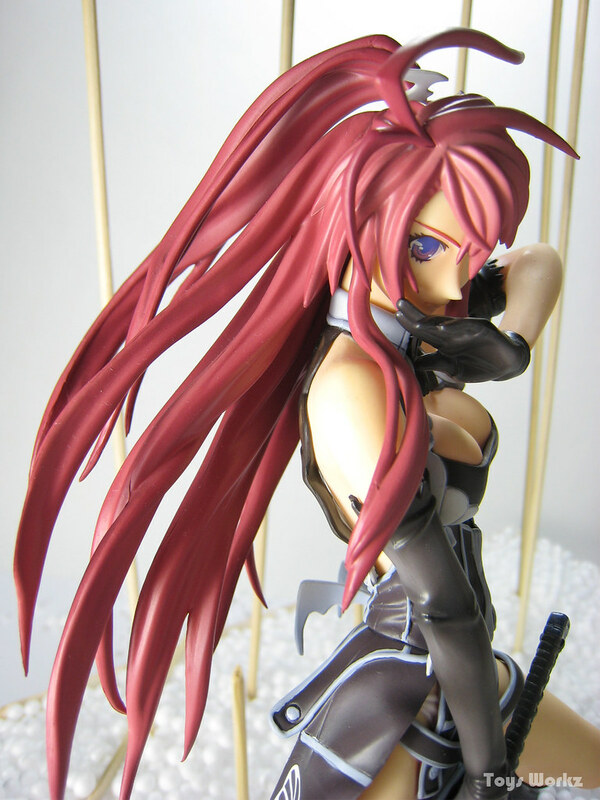 Actually I didn’t know all that before I got the figure, I only found info on her when I google for it . The only reason I got her was she’s super cute ^^. 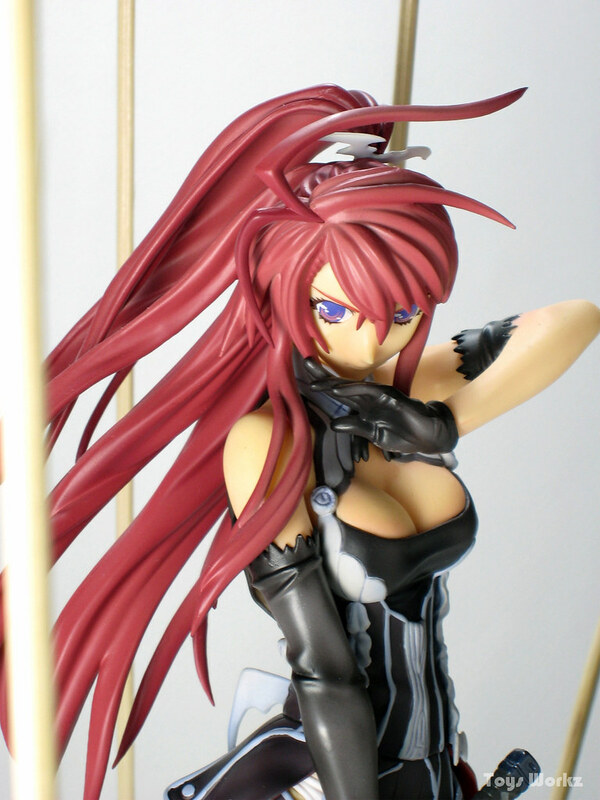 Sana is sculpted by Youzo Ogawa and manufactured by Kotobukiya. 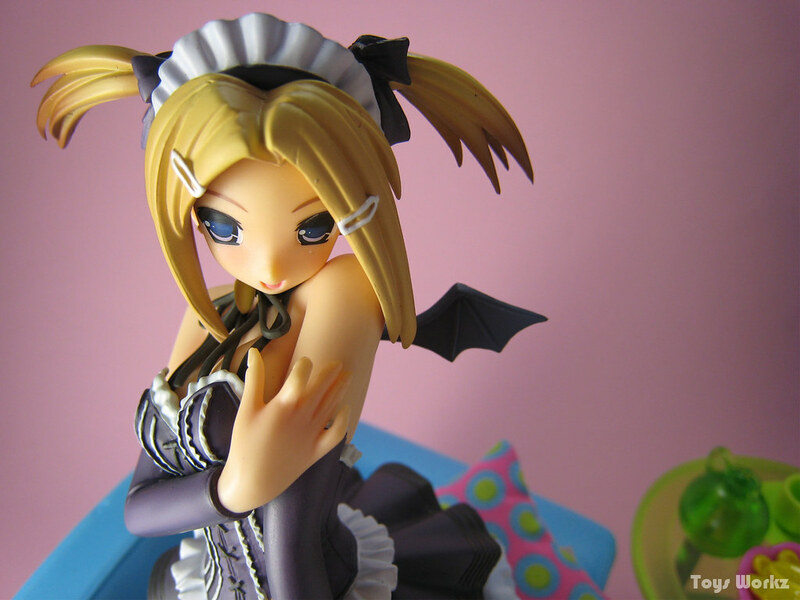 The detail on her is quite good from the meido outfit to the little wings on her back, you can even see a small little fang. For a superb review and photos on her check out super rats blog. Don’t have any props that resemble a restaurant (Pia Carrot is a restaurant in the game) so I just reuse the sofa I use in Sakura’s shots. 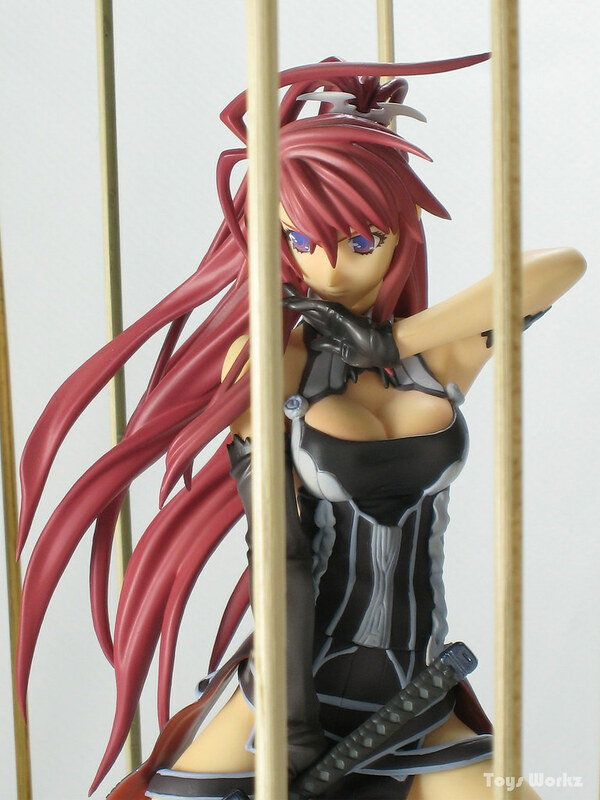 She comes with an additional chest piece that I guess suppose to enhance her chest ^^. Look closely and you can see the little fang, now that’s detail ^^. And then there’s the little bat wings. I don’t really do a lot of pantsu shot, but for Sana it’s so easy to take the shot ^^. Anime: None, from the game Pia Carrot G.O.